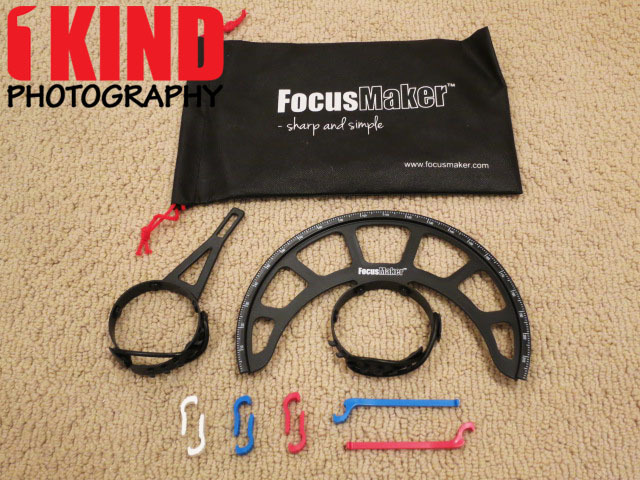 Overview : FocusMaker™ is an invaluable focusing tool for any DSLR filmmaker. 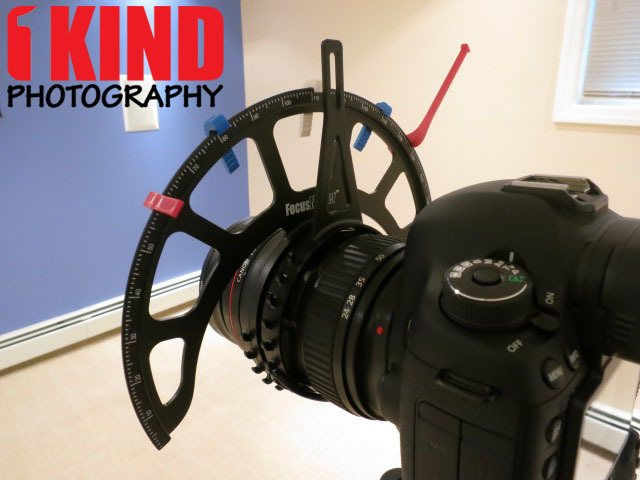 It serves both as a simple and easy to use follow focus system, as well as a device for making long travel rack focusing consistent, smooth and fast at very high accuracy. It fits on virtually any DLSR lens and provides unmatched accurate overview of your focus points. Its flexible ergonomics allow smooth operation with less fatique and camera jitter. Quality/Usability : Incorporating video into DSLR cameras these days seems to be the norm. 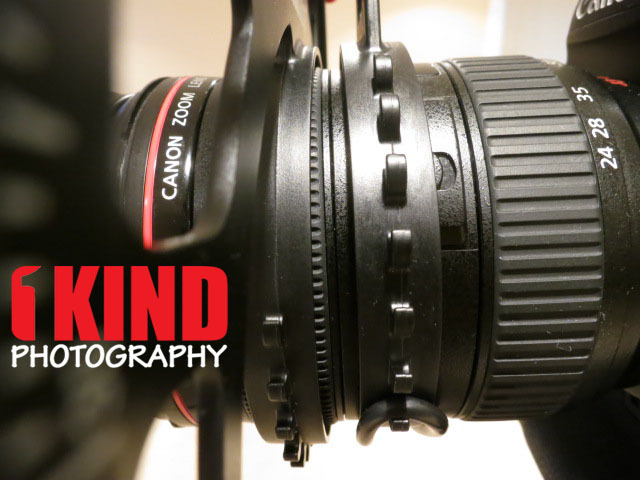 Having owned a Nikon D70s before switching to a Nikon D7000 and than completely switching over to the Canon EOS 5D Mark III, I started to dabble in some videography. One of the biggest frustrations is trying to get the right focus point during a shot. This is where FocusMaker comes into the picture. The FocusMaker attaches to any lens and in just a few minutes you can have focus points marked on the big ruler ring, and easily jump back and forth from focus point to focus point. 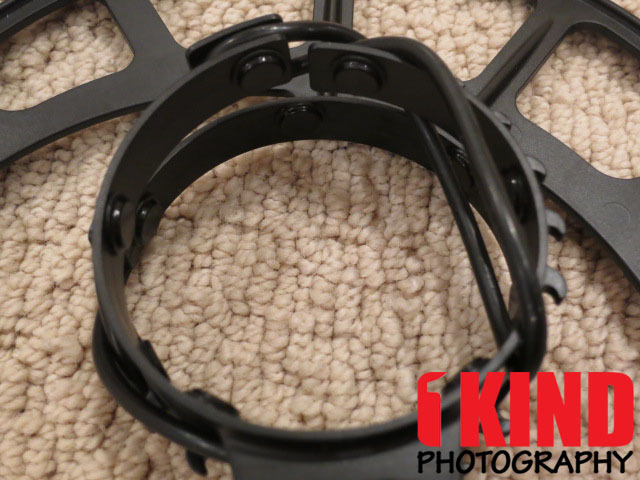 Included with the FocusMaker are two large rings that are fitted onto the camera lens. The biggest of the two is your ruler. 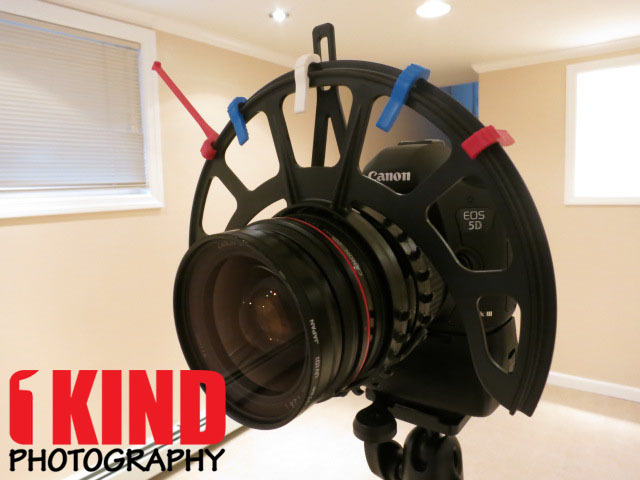 This plastic piece attaches to the focus ring of the lens. The second piece is your sight and it attaches to a fixed area on your lens barrel. This is kind of like your crosshairs for the measurements on the ruler. Included are also 6 markers (2 red, 2 white and 2 blue) to help mark your focus points and two larger markers that are used as handles or stoppers as well. I won't go into details on how to set it up since the instructions above are self-explanatory and easy enough to understand. Do make sure that your lens is set to MF (manual focus) before attaching the sight. I attached the sight to my Canon EF 24-70mm f2.8L before switching my lens switch from AF (auto-focus) to MF and couldn't reach the switch so I had to loosen the sight in order for me to move the switch (picture below). This may not be the case with other lenses whether it be Canon, Nikon, Sigma, Tamron, etc. In order to use and fit the FocusMaker comfortably, the focus ring diameter on the lens should be between 63mm and 91mm (up to 115mm is possible with a simple extension) and a band width of 8mm. The height of the sight is approximately 85mm. But once you have the ruler and sight installed, set the clips such as the stops/marks to the focus points you want according to your subject and attach the handle. You'll want to check your focus marks to ensure its focusing your object. When checking the focus of your objects, you'll want to be in Live View and magnify focus at 10x. If a point is out of focus, adjust the marker by sliding it on the ruler to the correct spot. Once all your focus points are correct, you can begin to record. Will the FocusMaker work with Tilt-Shift (TS), super-telephoto and pancake lenses? Tilt-Shift: The focus ring on most tilt-shift lenses are fine but mounting the sight may be a problem due to the complex lens body. Super-Telephoto: Lenses with a focusing ring diameter of more than 92mm would need a longer elastic rubber band strap. FocusMaker can supply you with a longer strap if needed. Pancake: These type of lenses don't have a lot of lens body but the FocusMaker does a decent job of fitting on the lens even with the limited space. Underneath the ruler and sight are rubber circle dots that are simply attached with adhesive. These provide friction and help prevent the FocusMaker from moving. During my testing, I saw a black dot on the floor and didn't know where it came from until I saw one missing on my ruler. Just be careful not to lose them. If you do lose them, I don't think it would be a big deal but when you start to lose more, there won't be much friction. You might even come up with a better solution and replace all of them. Also, when you remove the camera from the tripod, you'll have to straighten out the ruler before you set the camera down. Conclusion : Overall, the FocusMaker Follow Focus System for DSLR Video definitely helps anyone who's does videography. 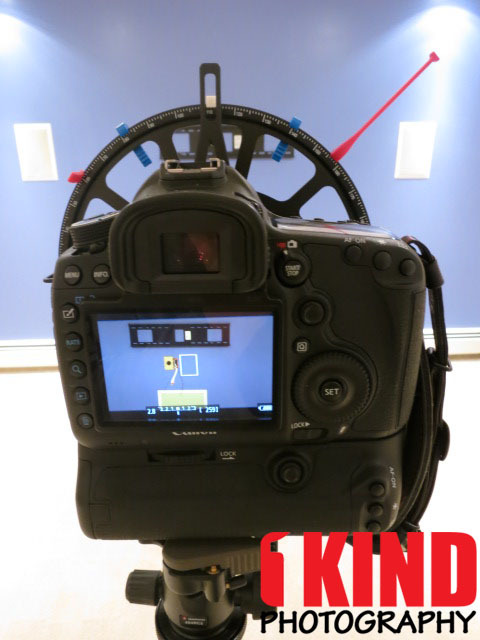 The FocusMaker also works great with sliders and definitely reduces any jitters during focusing. Just make sure that when you do need to adjust the sight or ruler, to unlatch the rubber band and adjust. Don't adjust when the rubber band is holding the sight or ruler tight to the camera. This may cause the rubber dots to come off.